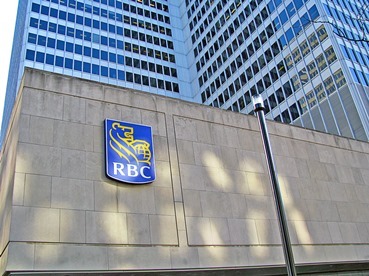 The Royal Bank of Canada will no longer limit mortgage size for immigrant buyers in Vancouver. According to Reuters, a case study was released Monday that found two-third of buyers in neighbourhoods around the University of British Columbia had names typical of those from mainland China. 88% of those also had a mortgage. And the big banks are the ones serving that market. The mortgages in that study ranged from $1.25 million to over $9 million. They were predominantly backed by HSBC, CIBC, and BMO. For its part, RBC originated 8% of those loans. The fact that the majority of those properties have mortgages goes against the conventional wisdom that wealthy foreigners are purchasing homes outright. "It counters a lot of our mythologies, in terms of this idea of people showing up with very large bags of money and paying cash," Andy Yan, an urban planner and professor at UBC, told Reuters. And it’s an interesting bit of information on a market segment that has long been debated by industry professionals. It is unclear just how much foreign money has influenced the housing market in Canada – especially in Vancouver and Toronto. And while the industry lacks sufficient information, CMHC recently said it is examining ways to better track foreign influence. “Currently there is no perfect source of information on the level of foreign investment in the housing market,” chief economist Bob Dugan The Canadian Press in late September. “CMHC has undertaken steps to address this data gap. Friggin typical! Not that I am upset they are doing this but when I look at the hammer Canadians are taking & all the efforts to tighten Canadians ability to get a mortgage, lets turn around & make it easier for foreigners. Yup. typical. Ref. Comment by Kevin R.
Instead of an emotional outburst, it would be helpful if Kevin can quote any case where a Canadian was declined a mortgage and a foreigner was accepted, when both of them had comparable amounts of down payment and other qualification criteria. I hope we are equal opportunity brokers instead of being politicians or crusaders.